DESCRIPTION: The Birthday Party were a post-punk band from Melbourne that was originally a punk band called The Boys Next Door formed in 1975 by Nick Cave, Mick Harvey and Phill Calvert. 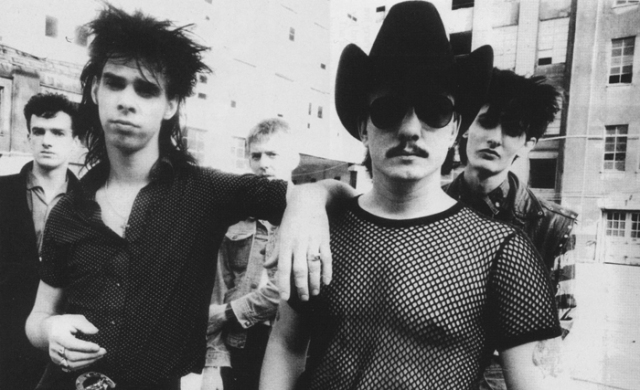 Their name change to The Birthday Party (after the band moved to London) reflected a more sophisticated sound borne out of the guitar work of Rowland S Howard who joined in 1978. Please contribute any writings or images to this page if you have more information or history to share with the Music Industrapedia Community on THE BIRTHDAY PARTY. Please visit our Contributions page for details. Also, please feel free to discuss the development of this page by clicking on the "DISCUSS" link at the bottom right hand side of this page.